In this promotional film, the coastal and rural life of Sussex is featured, showing seaside tourism, agriculture on the Sussex Downs and Weald, historical buildings and rural pursuits. The film begins with a map of Sussex, a train rushing through the countryside and people eating in the buffet car of the train. The film then focuses in on the Volk's electric railway in Brighton and associated seaside scenes, whilst the narrator points out that these are the most familiar scenes of Sussex - piers, people playing and sunbathing on the beach, shops on the promenade and the Brighton Pavilion. The narration then turns to the history of the Pavilion and a look back at significant eras in the history of Sussex as a whole including 17th century houses in Rye, the 16th Century Market Cross and the Cathedral at Chichester, Sussex churches with Saxon history in Steyning and Sompting, Roman defences at Pevensey, the Long Man of Wilmington and the Chanctonbury Ring. The film then focuses on the agricultural side of Sussex, showing traditional farming methods and modern agricultural machinery. The film then moves on to events around Sussex including the Petworth agricultural show, which features prize winning cows, pigs and sheep, then show jumping at the All England Jumping Course at Hickstead, horse racing at Goodwood, Polo at Cowdray Park, a cricket match, river fishing, people at the Glyndebourne Festival of Opera, the newly built Chichester Festival Theatre and Keere Street in Lewes. The film ends with the narrator reading lines from the Hilaire Belloc verse ‘The South Country’ and scenes of country houses, boys playing cricket on the beach, fishermen mending their nets and views of the net huts in Hastings, the lighthouse and coastline at Beachy Head and the Sussex Downs. Note: This print has a ‘magenta fade’ and is therefore discoloured. British Transport Films (BTF) produced documentaries and travelogue films from 1949 to the early 1980s. Their critically acclaimed documentary films looked at work and travel on the UK’s rail network as well as producing promotional travelogues advertising rail destinations around the country. This film was produced by Edgar Anstey, a main protagonist in the British documentary film movement and the founder of British Transport Films. At BTF he produced in excess of 500 films, winning an Oscar for the short film ‘Wild Wings’ in 1966. 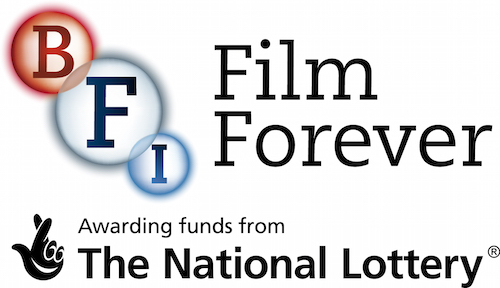 The BFI National Archive holds the main collection of British Transport Films. A website dedicated to the British Transport Films (BTF) production unit. The site contains details of many of the film unit's productions, film reviews and images from the extensive BTF stills collection.